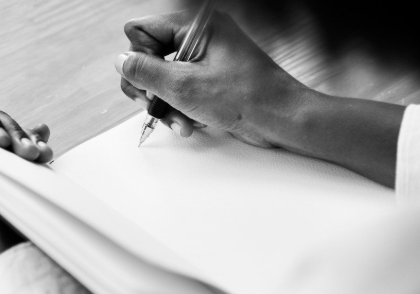 First impressions count, which is why having a well-written biography is so important. The purpose of a biography is to tell someone who you are and why they should choose you as their financial advisor. So, what should you include in your biography? Step 1: Start with your Name and Title. Now that you know what to include in your biography, here are some more tips for you to help with the finishing touches. Either choose first person (I, we) or third person (he, she, they)… never second person (you). It is acceptable to start with first person then change to third person. Incorporate your own personal style and make your biography interesting and engaging. This will allow you to sell yourself through your bio and reach out to most of your readers. Keep it short; up to 3-5 paragraphs with about 1-3 sentences per paragraph. Peter Parker has been with the Financial Company Group since 2006. He believes his previous five years as a sales manager selling health products to the medical industry were an ideal foundation for his work as a Financial Advisor. His attention to detail, good listening skills and great empathy are symbols of his appreciation by his clients. He is effectively supported by a team of administration, group benefits and investment products specialists whose teamwork and professionalism help him build long-term relationships with his growing client base and provide excellent customer service. John is a proud recipient of University XYZ’s MBA of Finance and was recently invited to join the Million Dollar Round Table. His focus is on doctors and health practitioners, golfers and winter sport professionals. John is happily married to his lovely wife Jane and has two teenage daughters. Away from the business, he enjoys golfing, skiing and spending time at the lake with family and friends. Everyone’s economic and life situation is unique, and I keep that in mind when providing financial security advice. I believe that personalized service is essential when matching clients with the right financial security products and services. As a Financial Security Advisor, I am dedicated to learning about your personal goals. Together we will use them to build a financial security plan focused on your specific needs. I understand my clients are in different stages of life: you might be purchasing a first home, financing a child’s post-secondary education or planning for retirement. I believe a financial security plan must reflect your personal or business situation, and so will work to highlight the financial security products that best fit your goals. Once your custom-tailored financial plan is in place, we will continue working together to review achievements against your stated aims, and ensure you are comfortable everything is moving forward according to plan. If you ever have questions about your plan or about specific financial products, contact us. We will set up a time to meet to review your needs and address any questions you may have. Contact us today. One of the most important lessons that I’ve learned over the last ten years as a Financial Planner is understanding the needs of clients and recognizing that everyone’s economic and life situation is unique. I understand that my clients are the most important part of my firm and that personalized service is essential when matching clients with the right financial products and services. Whether your current goals involve purchasing a first home, financing a child’s college education or planning for retirement, I want to help you make the best decisions with your money. If you ever have questions about your plan or about specific financial products, contact me. We will set up a time to meet to review your needs and address any questions you may have. Working together, we will create a plan to meet your financial goals. Thor Avenger has more than 27 years of experience working with small business owners serving as a Financial Advisor. Prior to starting The Avengers Financial in 1992, Thor was a Mortgage Broker who helped his clients find the right loan to help with their personal and investment strategies. He went back to school to obtain his Bachelor of Finance to allow him to follow his dream and provide further support and assistance to small business owners to ensure they are able to retire comfortably. Thor is a board member of the Financial Institution of Stark Industries and is a regular guest lecturer to PhD students. Outside of finance, Thor enjoys keeping active with hiking, spending time with his family and participating as a coach for his local Under 13’s Basketball team. 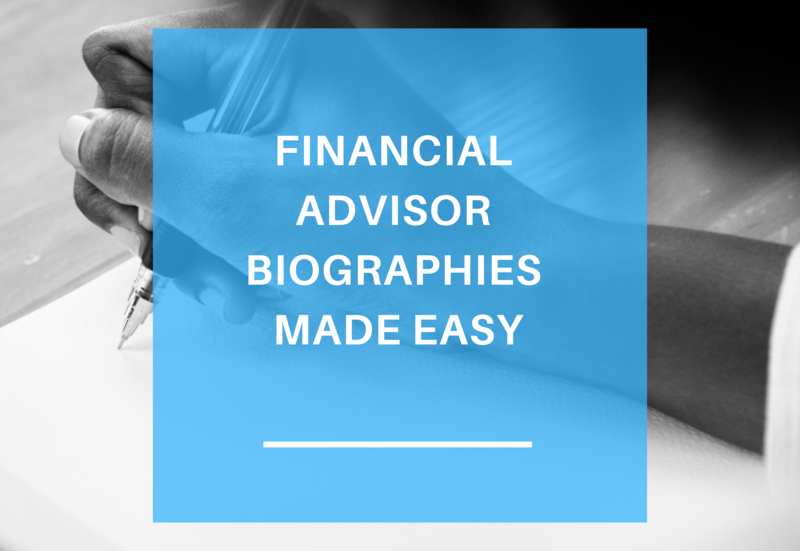 Read more about writing biographies in our other article titled "How to write an effective biography for your financial website"